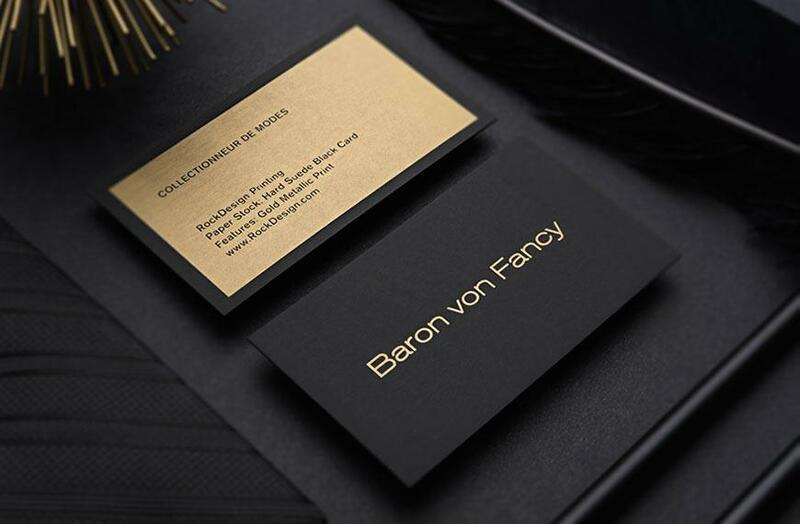 If elegance and beauty are what you look for in a business card, look no further! Our Vicentelli template says it all. 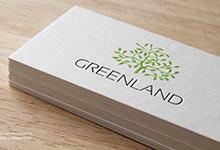 Printed on 26PT custom brown duplex this uncoated stock exudes professionalism. Gold foil stamp presents your company's logo and details, as well as brightly contrasts the rich chocolate shade of the cardstock. This beautiful design is catered towards powerful personnel including CEO's, CFO, and managers. 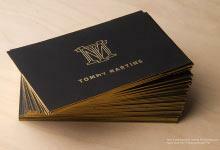 The gold foil printing is truly a sublime touch to elevate this design. No cardstock is better at demonstrating how opposites attract than our duplex cardstock is! 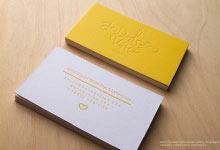 This elegant cardstock is crafted by combining two layers of our rich uncoated stock. While the black/white color combination is standard, this stock can also be customized to combine two of any of our available uncoated color stocks. At 26PT thick, this black and white stock is well suited to one-sided offset printing and foil stamping. Emboss and deboss can also be paired added for a sophisticated look.